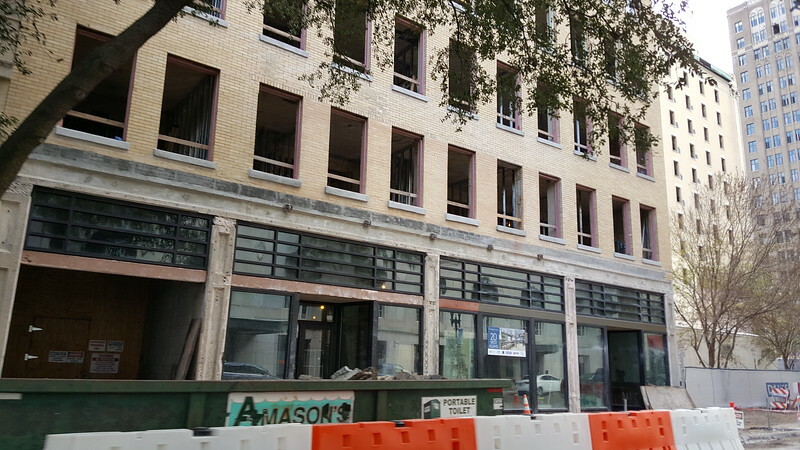 Nearing completion of the restoration of the former Lerner Shops building into a college dormitory at 20 West Adams, Profit Investments Partners is now preparing to bring a Hotel Indigo to the heart of Downtown Jacksonville at 100 West Bay Street. 100 West Bay Street is a seven story, 79,000 square foot building that once served as the headquarters of Stockton, Whatley, Davin & Company (SWD). Founded in 1884 by Telfair Stockon, SWD was once one of the largest mortgage baking, real estate and insurance firms in the Southeast United States. By the time it ceased operations in 1983, the firm had developed several neighborhoods in the Jacksonville area, including Ponte Vedra Beach and San Marco. Profit’s proposed renovation will transform the existing office building into a new mixed-use facility containing retail suites at street level and a boutique hotel under IHG’s Hotel Indigo brand for the remainder of the property. 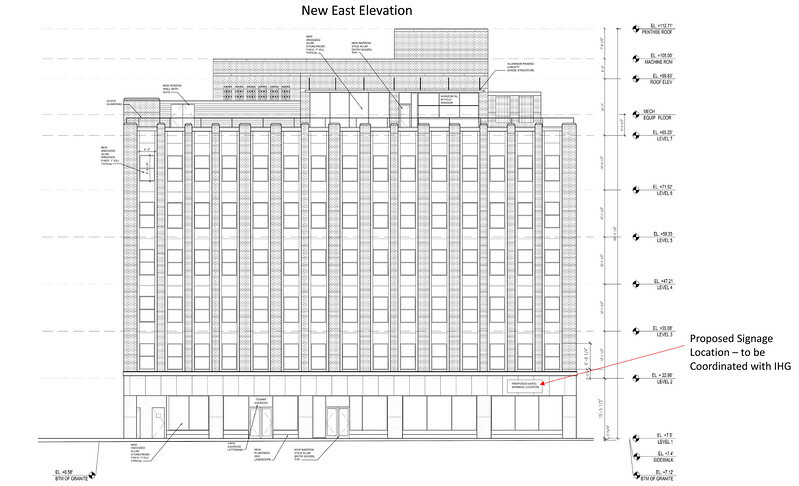 The first floor of the hotel will contain the hotel lobby and a 95-seat restaurant, lounge and bar. Floors two through six will be converted into 90 guest rooms comprised of both queen and king bed layouts, along with a fitness center located on the fourth floor. The seventh floor will be converted into a 190-seat restaurant and bar with rooftop seating and lounge areas to provide guests with an exceptional view of the St. Johns River and Downtown Jacksonville. The Hotel Indigo project is the latest of several infill and adaptive reuse developments underway along a four block stretch of Laura Street between the Jacksonville Landing and Hemming Park. In October 2017, two blocks north, the SouthEast Development Group began on the conversion of the long vacant 18-story Barnett National Bank Building into a mixed use project featuring 100 apartments and 50,000 square feet of commercial space. 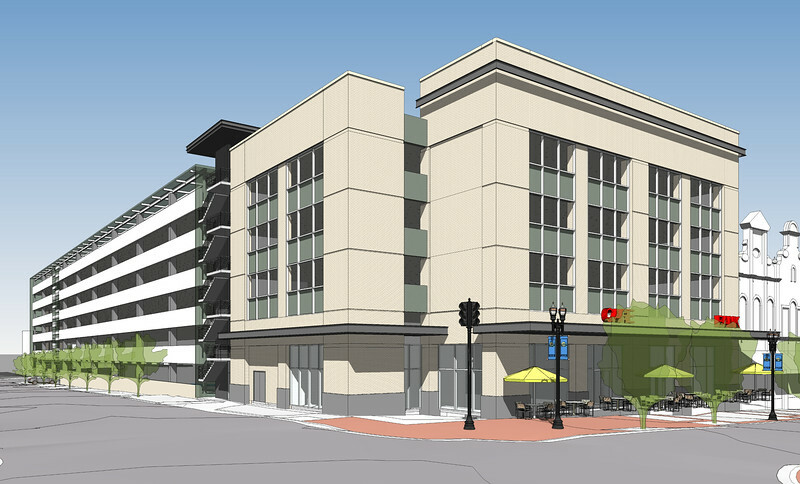 Between the Barnett and Hotel Indigo, SouthEast is also preparing to construct a 550-space parking garage with retail space at Forsyth and Laura Streets. They’ll be joined by the restoration of the historic Laura Street Trio buildings into a a 145-room Courtyard by Marriott, restaurants and an urban market. Further up Laura Street, local bookstore owner Ron Chamblin continues to make progress on the conversion of a small building into additional retail storefronts with apartments above.